New Zealand cannabis law reform supporters were overjoyed on Monday by the news that Rose Renton was discharged without conviction in her case at the Nelson District Court. Charged with the cultivation of 58 plants, she could have been facing seven years’ imprisonment. As this essay will examine, the logic used to exonerate her could be used to exonerate almost any other cannabis grower, and should lead to a change in the cannabis law. Renton was discharged without conviction on the grounds that her offending was “altrustic” in nature, according to Judge David Ruth, who was quoted as saying: “This was effectively an altruistic endeavour on your behalf to help those for whom that help wasn’t otherwise possible.” This is an entirely fair point, and it’s about time a judge said so, but it goes further than this. 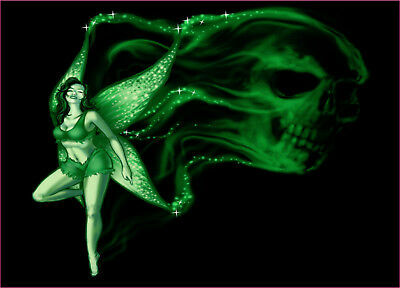 She had been growing cannabis to supply medicine to a variety of people, a job that has been given the title “green fairy”. The ‘green’ refers to cannabis medicine and the ‘fairy’ refers to the fact that this medicine doesn’t come regularly but simply shows up whenever the fairy can make it happen. Renton was supplying clones of a CBD-rich strain to people who then grew the medicine themselves. A Police officer who came to Renton’s home noticed a cannabis plant there. Instead of ignoring it, the officer made the decision to enforce Parliament’s law against cannabis by arresting her. This decision led to 18 months of suffering on Renton’s part, until discharged without conviction on Monday, for the reasons mentioned above. Cannabis is a medicine. The main reason why people use it is to escape the suffering caused by either physical or psychological pain. There are several effective substitutes for the effect that cannabis has on physical pain, but there is little that can stop psychological suffering as quickly and efficiently. Countless people have found that a bout of rage, depression or despair can be stopped cold by a dose of cannabis. It’s rarely admitted to, but there is a lot of suffering in our society. Not just the tedium of the drudge-work that we endure, and the anxiety over our uncertain futures, but the stress of encountering new strangers all the time and the alienation of having no community or political representation all combine to create an existence that is wretched for many. This can be measured by our increasing suicide rate, which hit a record level last year. Almost all the cannabis that is grown, by anyone, ever, is grown with the intent of reducing some of this suffering. There’s no point to it otherwise. No-one grows cannabis with the intent to cause suffering. Anyone who believes this is simply not in touch with the reality of cannabis use. Everyone who grows it does so with the intent that using the end product will alleviate suffering in some way. So the concept of non-altruistic cannabis growing makes as much sense as the idea of non-altruistic insulin production. People who aren’t interested in the medicinal effects of cannabis might still be using it for that reason, even if they smoke it in joints. Even casual joint smokers are often motivated by the decrease in anxiety, stress, nausea or insomnia that comes with using it. This means that the vast majority of cannabis that anyone is growing, anywhere, is for altruistic reasons, much the same as with Rose Renton. Many people are unwilling to accept this, for the reason that this makes the current law seem extremely cruel. The hard facts are, however, that the current law is extremely cruel. It’s possible that the law prevented Alex from getting hold of a medicine that would have saved his life. We’ll never know. It’s possible that Rose Renton had to watch her son die for no other reason than that New Zealand politicians were too stupid and cowardly to address the need to repeal cannabis prohibition in time. That might seem unreasonably cruel, perhaps even so cruel that it’s hard to admit to, but that’s what we did. We’ve been doing it for decades, to Kiwi families up and down the country. We have to face up to the fact that cannabis is a medicine, and that the law withholding it from people is killing those who need its medicinal qualities. It’s time for us to accept that the vast majority of people who are growing cannabis are doing so with the ultimate intent of alleviating human suffering, so we should repeal cannabis prohibition and make it legal.